Really, is there a more beautiful site?! I love, love, love my pasta and always have. It is my go to meal when first, I am not watching my carb intake and secondly, when my husband is not at home for a meal. He’ll eat it but to look at his face it says, couldn’t you have made something else? Though does he like lasagne.This recipe is so quick and easy and requires little thought. It is the kind of recipe that is a pleasure to make because it is so basic and can be made with store bought ingredients. It is also ideal for quests who come unannounced or even for those who are coming with and invitation. It can be doubled to stretch and accommodate the number of guests you have, or you can cut the recipe down and prepare this for one person. 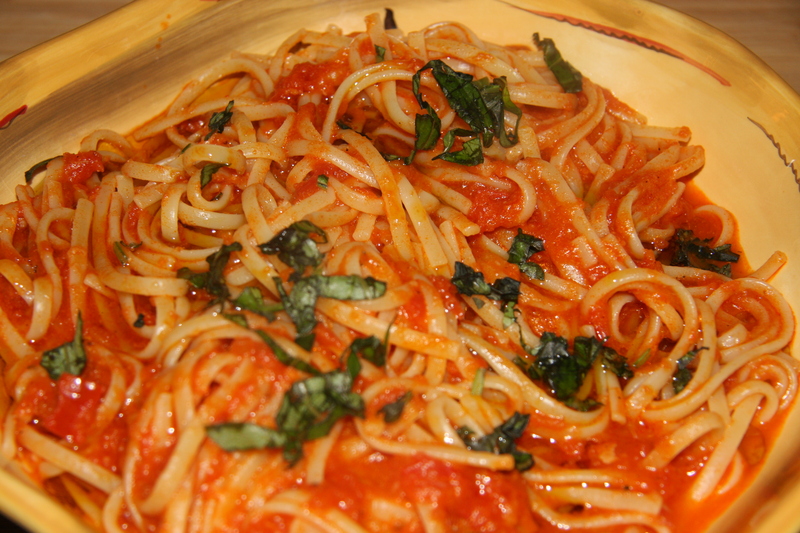 Any way you prepare this, if you love your pasta, it will disappear quickly. I don’t very often use sauce which I don’t make myself. Though I always have store bought ready made sauce at home for those days I don’t feel like cooking. 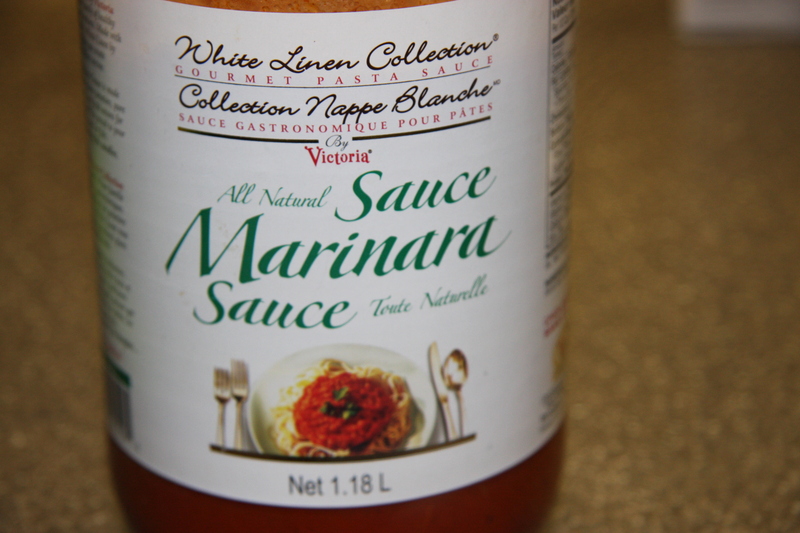 I really like this sauce which I purchase at Costco but you can use what you like. 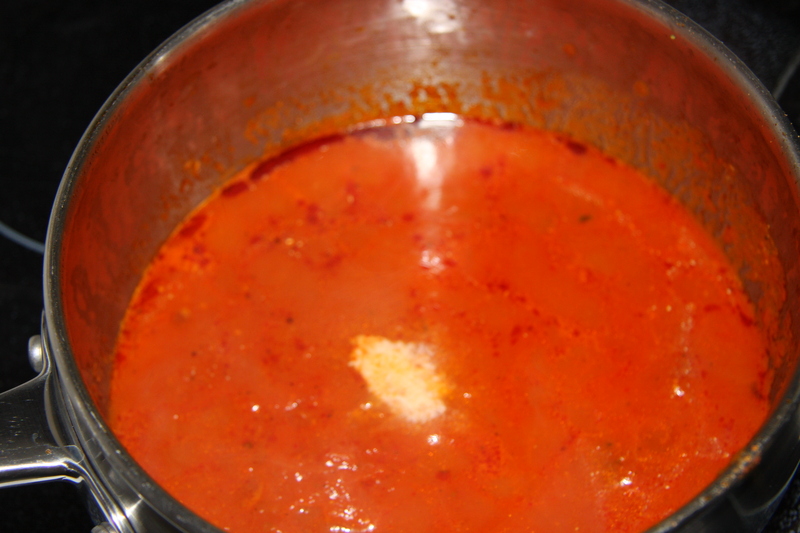 I pour the contents of the sauce into a pot and add 1 tablespoon of butter. This particular sauce has onions and spices, but if yours doesn’t chop up 1 onion and fry in 1 tablespoon of butter and a little olive oil along with some chopped garlic. Then add your bottled sauce. 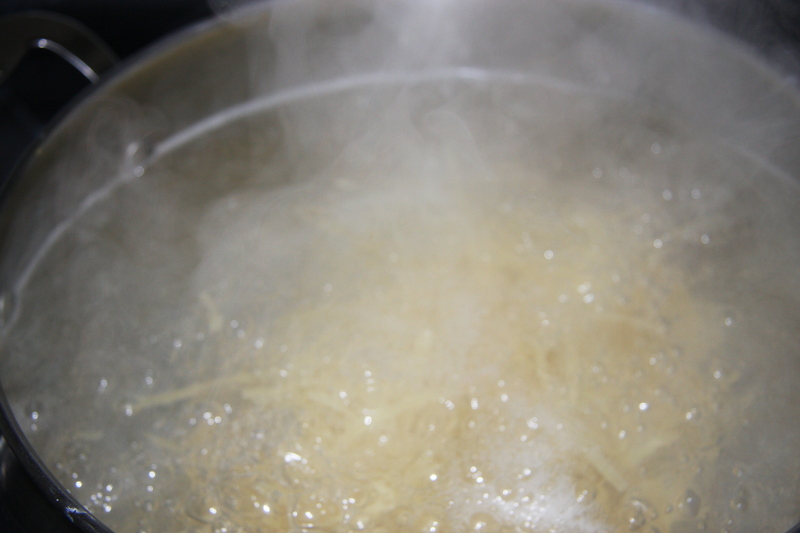 Cook until heated at a low simmer. Do not boil. When the pasta is cooked reserve 1 cup of pasta water and set aside. 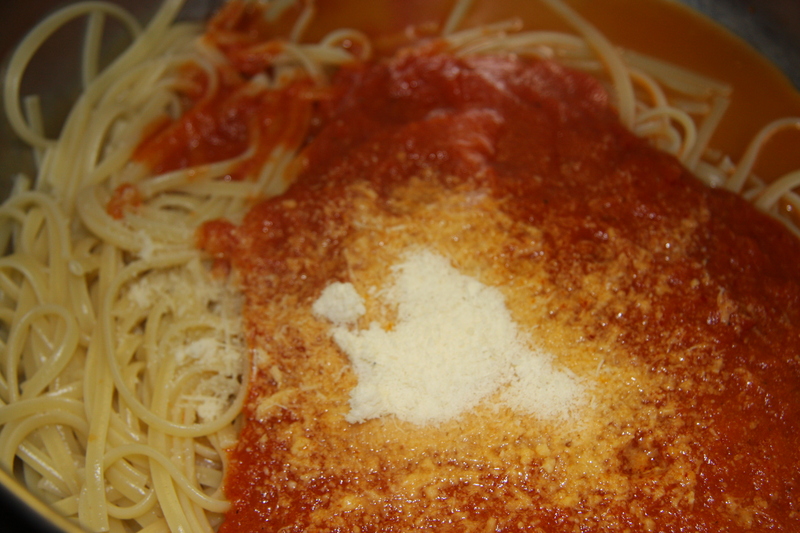 Then drain the pasta place it back in the pot and add the marinara sauce and some freshly grated Parmesan cheese. Mix this well and slowly add some of the reserved pasta water to combine all of your ingredients. You may not need all of the water. 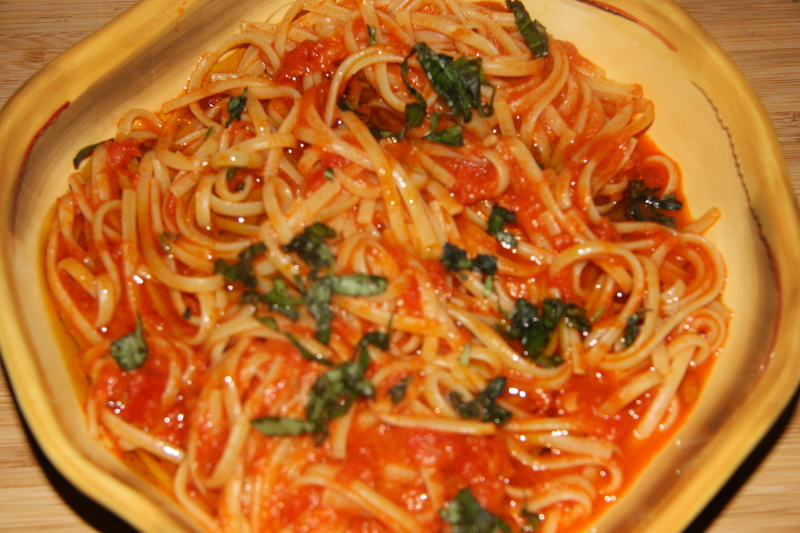 Place into a serving bowl, top with chopped basil, a little olive oil and more Parmesan cheese. What could possibly be more simple then that to prepare and please so many people? Into a pot, pour in your sauce to heat along with 1 tablespoon of butter. If sauce doesn’t have onion or garlic fry the chopped onion then the garlic in the pot before adding the sauce. Fill a larger stockpot 3/4 full of water and some salt. Bring to a boil and add your pasta. Cook according to the directions on the package. Reserve 1 cup of water and set aside. Drain the pasta then add the sauce, Parmesan cheese and salt to taste. Mix well. Top with a little olive oil and some chopped basil. Fantastic with a salad and some garlic bread.